Posterino now supports export of documents with transparent background. 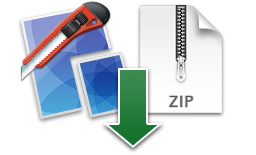 Added support for export documents as PNG image file. The built-in image browser now supports Adobe Lightroom 4. Solved a performance problem that could lead to a significant large processing time (beach ball of death), if a larger number of images is dragged from the image picker to the document canvas. Fixed a problem with the “Snap to Guides” feature, that could lead to wrong alignment when the feature is toggled on/off via the ALT key. You can’t accidentally remove a text layer from a text object any more. Hide the inspector when Posterino enters the version browser. Updated online help contents and switched off remote updates. This build is a free update recommended for all users! Happy Holidays! We know it’s a busy time of year. We at Zykloid Software want to take a moment of your time to announce our latest feature — which just might help ease your gift shopping. We listened to your feature requests and outfitted Posterino 2.5 with a very special calendar feature. Use it to design gorgeous personalized calendars to hang in your home and give out as presents. We think Posterino 2.5 will come in very handy this holiday season, especially when you need last minute gift ideas. Please note, you need at least an Intel Mac and OS X 10.6 or later to cook up your new designs. And don’t miss the sale! Posterino 2.5 is a free update for all owners of a Posterino 2 license! Warm wishes to you and yours for a wonderful Holiday Season and a Happy New Year. Added support for OS X 10.7+ Lion Auto Save, Resume, Full-Screen App mode and Versions. You can now press ESC to toggle the full-screen mode. A new document now opens per default in layout mode. Improved the split view between image browser and document. You now can hide the image browser by using the “Hide | Show Image Browser” command from the “View” menu. Updated language support for: Dutch, French, Italian, Japanese and Spanish. Ensured that pasted objects stay within the bounds of the document page. The splitter between the image picker can now be grabbed with the mouse to change the position of the splitter. Also improved the mouse cursors displayed. The menu item ‘Revert to Last Opened Version’ now correctly appears in the Versions menu accessible via the document window title (OS X 10.7+). 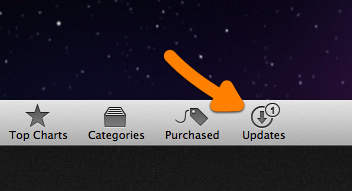 The progress indicator is now visible when loading and creating a document (OS X 10.6.x). Polished Layout mode behavior and improved performance. Layout mode popup contents is now stable along document or application switches. Various small bug fixes and improvements. Added alignment guides to help positioning objects on your document. You can inverse the current ‘snap to guides’ mode by holding down the Option key. You can now rotate all selected objects by using the rotation handle of any selected object. Added Dutch, Italian, Spanish and Japanese language support. Added several new articles to the online help regarding the basic Posterino workflow and template handling. Fixed several problems regarding the appearance of templates and paper sizes in the Template Chooser. Solved the case where layout popup windows (HUD) are cut off at the edge of the screen and ensured that the popup controls in the Layout mode (blueprint view) stay on the page when the window gets smaller. Various other bug fixes and small improvements. Bienvenue sur Posterino 2.2 ! Several new articles regarding text boxes and details on printing are added to the online help. Additional warning messages are added to inform about the implications of destructive operations. A hand full of bug fixes. Posted on February 11, 2011 February 20, 2011 Author ChristophCategories AnnouncementTags cutting-edge, localization, minor, posterino, releaseLeave a comment on Bienvenue sur Posterino 2.2 ! New and revised online help. Support for iPhoto Events in the built-in image picker. Added move and size frame commands to the context menu of the document editor. Fixed an issue that could lead to distorted images. Solved a problem that could lead to an application crash in case a document is open holding references for images that have been moved. Solved a problem that sometimes hindered a copy operation from proceeding if text object where involved. Improved the staggering of graphic object on a paste operation. Support for 32-bit Mac under Mac OS X 10.6+ ‘Snow Leopard’. Solved an issue that could lead to missing images in a re-opened document file. Fixed a bug that prevented the copy and paste operations from copying graphic objects. Handled a situation where the application crashed during an image filter operation. Solved a problem where imported images are distorted due to a misinterpretation of the image aspect ratio. 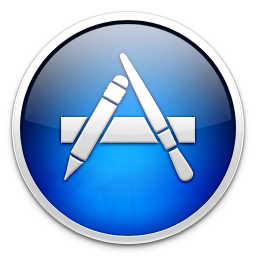 [NEW] Added Dutch language support. [FIXED] Solved a bug that could lead Posterino to skip thumbnail images on opening saved documents. [CHANGED] Prepared the “real” postcard interface to be discontinued on July 1st, 2009. This build is a free update recommended for all users.